Want to succeed? Follow the rules below. Social media marketing is the act of promoting goods and services over social media channels, e.g Facebook, Twitter, Instagram, LinkedIn etc. Social media marketing is one of the most widely used forms of digital marketing. This is only to be expected, as millions of people each day visit social media platforms for varying reasons. Aside from the large audience, what has made social media marketing very popular is the ease of use and flexibility. An average smart phone user can create a social media campaign for a product or service and can adjust it if it is not producing the expected results. Everything in life has rules; dos and don'ts. Observance of these rules allow for success and gives peace of mind while flaunting of these rules could result in catastrophic failure. Social media marketing, like everything else, has dos and don'ts that must be respected for a successful campaign. If someone walks into your brick and mortar store, and ask about a particular product or service that you are offering, will you ignore the customer and just keep filing your nails? Of course not. Also, if you were to walk into a store to request for a product and the attendant ignores you for a soap opera on television, would you be impressed? Would you want to return to the store next time? Similarly, you are never to ignore your audience on social media. People respond almost the same way to being ignored on social media as they would respond in real life. This simply means you would lose your customers. Although robots are a great way to give instant response to customers so they know their messages or complaints were received, it should not be the relied upon as the only or major means of communication. It is exasperating for the audience when they have pressing complaints in need of app developers but there are no actual agents to attend to their needs. In social media marketing words mean everything. Remember, no one is seeing your face, or know how busy you are, all they see are your words. Your words will tell them who you are and if they can do business with you. Anything said online is difficult to take back, so choose your words wisely. People will offend you by their comments, they may undermine your product or service, you need to know that in many cases they are not the only ones reading your reply. You can win or lose potential customers by how you respond to issues. 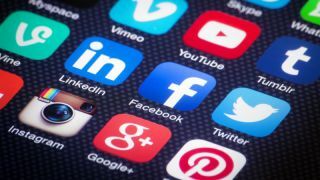 There are so many social media platforms that can be employed by mobile app development companies for the promotion of goods and services, and it can be tempting for app developers to want to engage in all of them. But this would only be counterproductive. It would spread your marketing team too thin and water down their effort. Focus is important, it is better to employ a few social media platforms and utilise them to the fullest, engaging your audience productively than to have several accounts on different platforms that are dormant and gathering dust. Any account on any social media platform must represent your brand fully and must be active. Social media platforms have an audience that is unique to them. Indian app developers must never use the same social strategy for all social media platforms. The audience found on Instagram relate differently to information compared to those on Twitter or Facebook. Your social media strategy must be unique and tailored-made according to the type of audience found on the platform. One size does not fit all, uniqueness is essential. Developing an online persona makes a company more friendly and approachable. You can snap some photos of yourself, your team and office and upload them. This passes a message that your company is made up of humans who smile and breathe like every other person. People feel more comfortable interacting with a friendly, normal, company, than a mysterious, nameless and unfriendly one. A client just made an interaction with your company by purchasing your product or employing your service. The client is happy with what he got, your company is happy with what it got. There is a tendency for you to want to end the relationship there, but that is a big no. The finalisation of a deal should never mean the end of a relationship. You must take meaningful steps towards the development of a personalised relationship. You can go ahead to schedule phone conversations or find ways you can meet in person to discuss further business opportunities. Never get lost in trying so hard to sell your products, that you forget to give something back to the audience. There are times you need to forget about being a salesman and focus instead on developing and sharing quality contents that can be of help to the lives and businesses of your audience. It gets boring to the audience, and it is equally a sign of selfishness if all that is available on your social media channel are sales pitch about your product. Never get lost in always trying to make sales, give something back to your audience. Consistency and promptness are essential. In this digital age, the attention span of most users of digital devices is low. If they cannot get what they want from a site or page or channel, they instantly find an alternative. Indian app developers must learn to reply to questions, query, and concerns as promptly as possible. Your response time should be within a few minutes to a day, for small businesses. Anything beyond this is detrimental to the growth of your outfit. Consistency is equally important, to have a successful social media marketing campaign clients and customers must be able to rely on you. They must have the confidence that each time they visit your channel there must be something new and useful waiting for them. Like mentioned above the attention span of social media users is pretty thin, they don't have the endurance to read articles that are too long or complex. So it is important to keep your pitch short, simple and straight to the point. Don't go telling them how complex the algorithm of your app is, or how long it took for you to build it. Tell them exactly what the app does and how users can benefit from it.